We are your local Ladue painting Contractor for your home and business that provides all your interior & exterior, painting services. Carter Custom Painting offers free in-home estimates and consulting for all your house painting needs. The reputation of Carter is most unique with their impressive list of repeat Ladue customers. We would love to add your family or business to our list! Whatever the size of your home painting needs, whether it’s a inside that you want to paint or an entire house that you want freshly painted, only a professional company like us can promise you the finest results and a flawless finish. So whatever the scale of your paint project, trust the job only to the Painting Professionals at Carter Custom Painting. Choose only a expert specialist in the field of house and business painting. We listen to every detail you want accomplished on your project! Once we know exactly what you are looking for from St. Louis’s most pristine Painting Company, we will give you honest recommendations and clearly explain what to expect from the services you select. You know that a quote that seems too good to be true probably is. But there’s still no need to sacrifice quality products and services for affordability. At Carter Custom Painting, you get only the best high quality products and top notch service at a fair price. It takes more than just a fresh coat of paint to make your home or business look like new. Our employees know how to properly prepare a surface for painting, understanding that many surfaces require different products for an even finish. We even do custom carpentry, wood replacement, drywall repair, texture matching, and artistic work, creativity is our speciality. 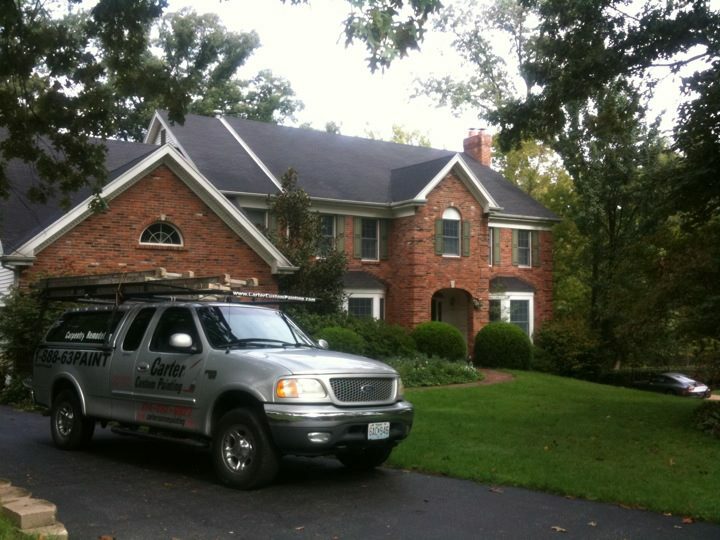 As a locally-owned St. Louis County business that’s licensed and insured, you can trust us to always do the best job.